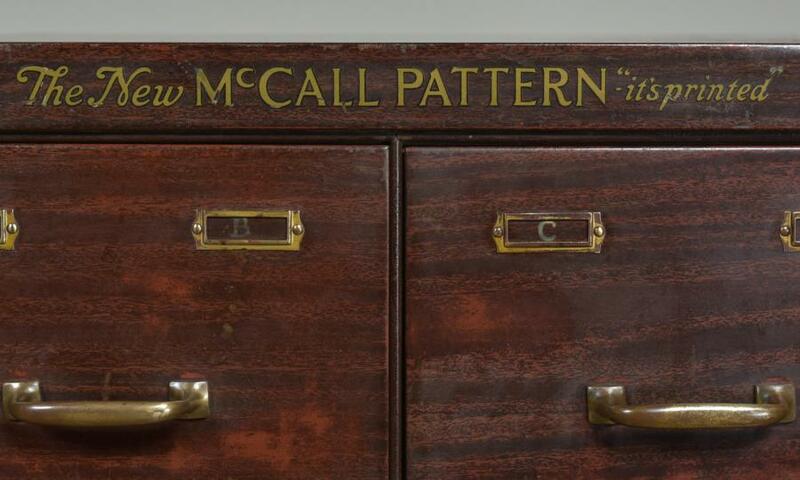 A pair of vintage McCall Pattern steel drawer cabinets in a wood grained finish with brass handles and card slots. 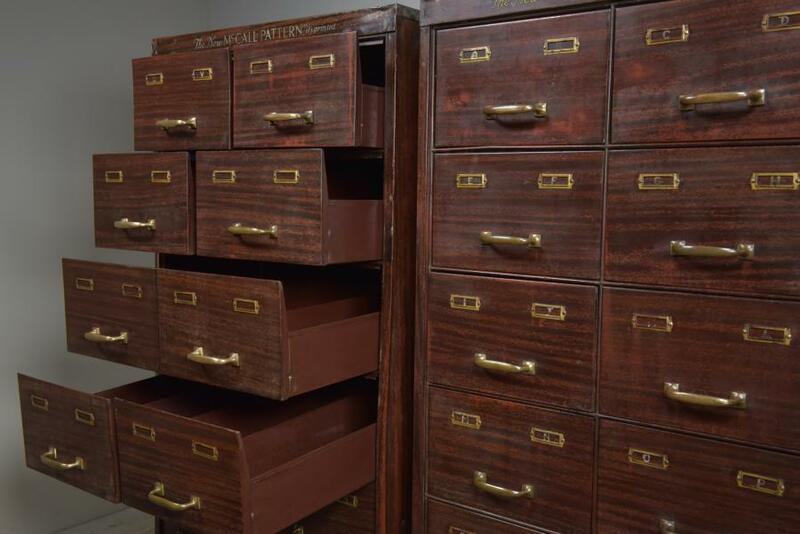 These were used for storing sewing patterns and instructions in a haberdashery shop or department store.The McCall Pattern Company, founded in 1870, designs, manufactures, markets, distributes and sells sewing patterns and instructions for women's, men's and children's fashions, accessories, costumes, crafts and home decor. 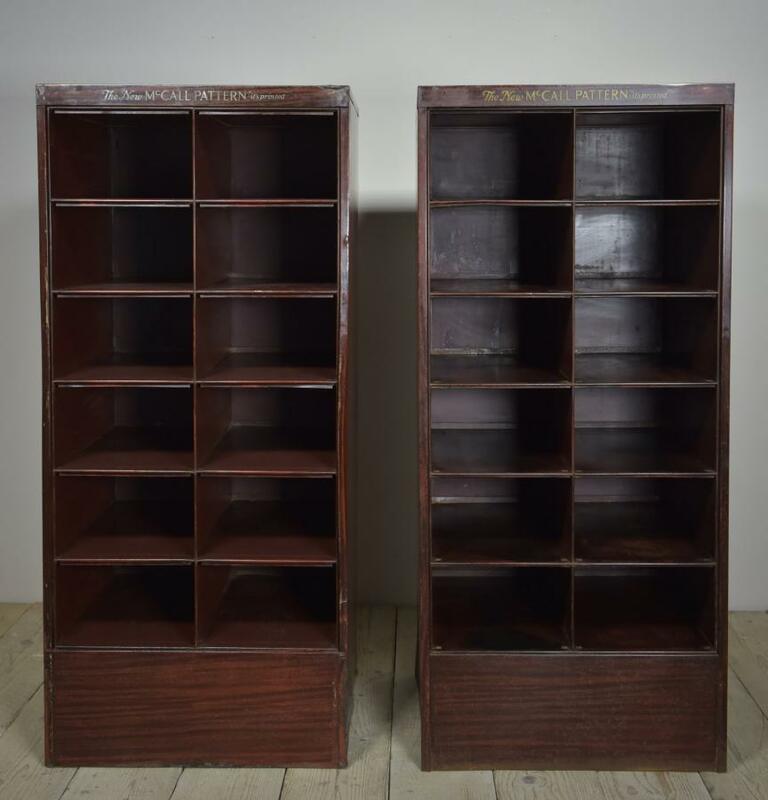 This pair has had a certain amount of knocks, dents and bruises in later life although they are complete and all the drawers work. They have been thoroughly cleaned and waxed inside and out and are ready to use. Please see additional photos (see blog or contact me)if you wish to appraise their overall condition. Dimensions in inches/cms; 57"/145cms tall by 25.5"/65cms wide by 20"/51cms deep Internal drawer space; 18.25"/47.5cms deep, 11.25"/28.5cms wide(with internal divider), 7"/18cms useable height (drawer sides are 4"/10cms high) Very versatile storage pieces. 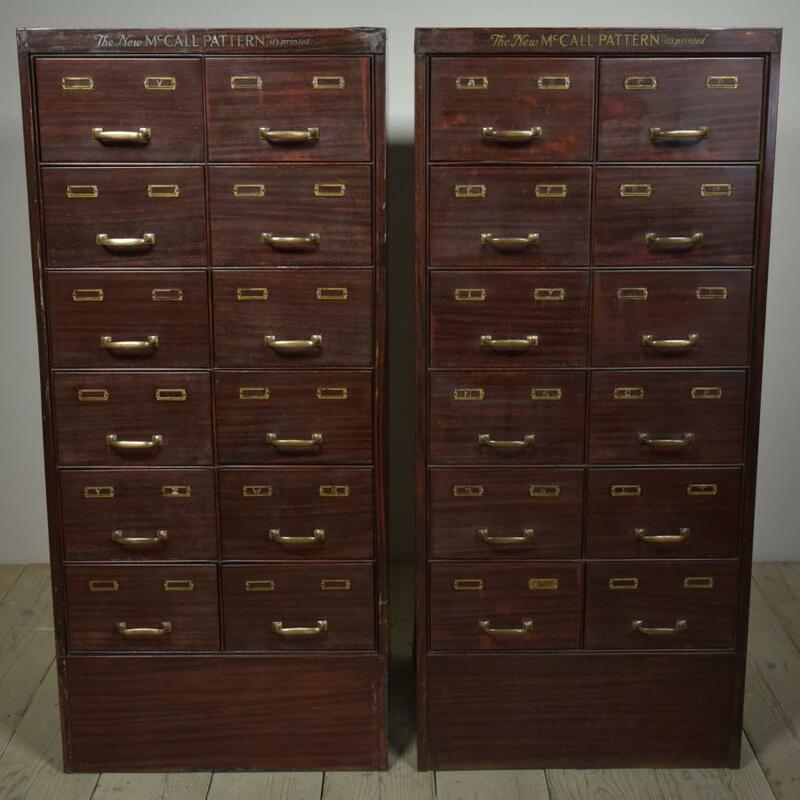 They could also be used as pigeon holes by removing the drawers. (spcae per pigeon hole is 11.5"/29.5cms wide by 19.5"/50cms deep by 7"/18 cms high) For more / higher res images please see my blog which can be accessed through the news section of this (haes) website. Sold- i have a similar one awaiting cleaning in very good condition.